The restaurant industry has had to change somewhat from the days of relying strictly on sit-down customers. Even the big chains have had to adapt in the last year to stay more relevant to how people prefer to order meals. 2018 is going to see even more technological development inside the big chain restaurants. Names like Applebee's and IHOP have begun to incorporate various technologies to provide more control for customers. All of this comes as casual dining restaurants like Applebee's and IHOP experience a slump in sales. One of the technologies the above restaurants are about to implement is the ability for customers to do more take-out style dining. They'll be doing this by adding a mobile app anyone can download and use easily for orders 24/7. Much of this comes at a time when consumers want more control over when they want food and how fast they get it. It's being discovered that people are eating at more odd hours now, perhaps due to varying work schedules. This means some people wanting to eat in the middle of the night without having to drive somewhere. In many cases, the off-premises ordering process involves partnerships with other tech firms to create a smooth transition. For instance, a company called Dine Brands works closely with IHOP and Applebee's now to create new ways for people to order from their menus. Even Dine Brands linked up with General Motors to create an ability for people to order from their car dashboards by simply clicking logos from the above restaurants. While the new take-out delivery systems above continue through partnerships with UberEats and GrubHub, Dine Brands is a national leader in providing new apps and websites for casual restaurants. Through more refined design, companies like IHOP have finally upgraded to placing their menu online. With this comes the need for ways to better manage the mobile technology they use to prevent possible security chaos. It isn't known what security measures they take with their new mobile apps, but it's something you shouldn't ignore in your own chain restaurant. According to reports, the mobile technology in the above chains will soon become even more convenient. Overall, it's going to speed up when people receive their food, creating a new wave of expectation in your future customers. This year, expect to start seeing table tablets at IHOP and Applebee's that enable people to order without having to wait for a waitress or waiter. Through the process, visitors who visit the restaurants in person can receive their food faster. You'll see this work the same with their mobile apps. They'll allow people to order ahead of time before they even arrive at the restaurant. Once there, visitors are going to have their food ready immediately. Expectations like these showcase how people want food now when in a mood for it. To keep up, you'll need some kind of restaurant tech like mobile management to maintain systems like this. What Platform Should You Use for Mobile Management? At RemoteRelief, we have a top-tier platform called AirWatch that allows for superior mobile management all through one source. You can easily manage all your devices, your apps, mobile content, email, and expenses through our efficient design. Made especially for restaurant chains like yours (and retail stores), it's rare to find a platform integrating so many mobile functions for easier management. 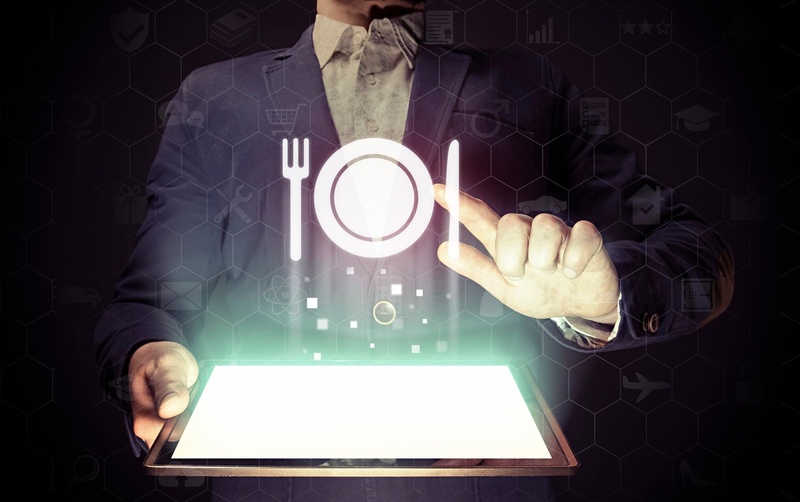 As the restaurant industry changes to accommodate changing tastes, it's time to get yourself prepared for how you'll use mobile technology. Visit our site to learn more about the IT services we provide, including our other platforms. Davis is a North Carolina based creative who loves design and all things multi-media. You can usually find him running, coding, exploring the outdoors, or with his nose in a good book.